I'll say it again: pale ale is a calibration beer. Drinking a brewery's pale instantly gives you insight into their thought process. Deschutes is doing good things. Hop in the Dark was excellent, and I'll get to their porter next. 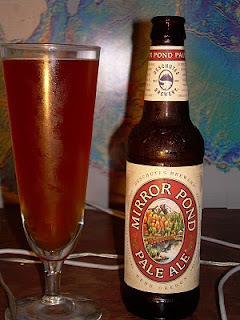 This is a great pale ale, simply put. It's got some dry hoppiness, but not too much - it's well balanced but you get a little fruitiness in the finish. I still think Stone Pale is the best, but this could easily be runner up.